South Korea, formerly the Republic of Korea and known as Hanguk by its own citizen, is the southern part of the Korean peninsula with Seoul as the capital. The recent popularity of K-Pop and the Gangnam Style as well as South Korean television and food has made South Korea famous in the world, and it is a good sign of the cultural maturity of this highly developed, democratic nation. South Korea has seen a tremendous economic growth and development in the last decades and has transformed from a dictatorship to a vibrant democracy with living standards approaching those of Japan. But there is always still the North Korean problem; a division as a result of the Korean War over 50 years ago, which still casts it shadow over the Korean Peninsula. 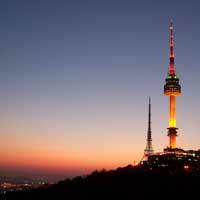 South Korea has many good spots for tourists but a few stand out. Seoul is the entry point for most and be sure to visit one of its many famous site like the Palaces Kyeongbokgung or Gwanghwamun or the huge Seoul Tower. 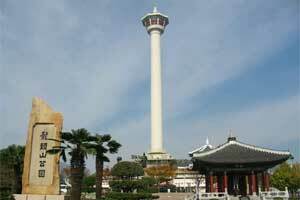 South Korea has several Unesco World Heritage Sites, in Gyeongju and on Jeju Island. Although most parts are of course off-limits, you can get a glimpse of the most heavily armed area in the world, the Korean Demilitarized Zone, at the village of Panmunjeom. Karaoke is of course very popular and can't be missed anywhere in the big cities. Hiking and trekking can be done in one of the mountains in the mainland, while in Kangwon-do you can go skiing or snowboarding. The Korean cuisine has become a famous export product and Korean restaurants can be found anywhere in the world now. A Koreal meal is often with rice and soups are very popular. The food can be very spicy but is low in fat. Kimchi is a worldwide-known food typical of Korea. Kimchi is made of cabbage and chili served after fermented. Bulgogi, a food made of beef slices roasted with ketchup, sesame oil, garlic, onion and black pepper, is another typical food you can try in this Ginseng Country. 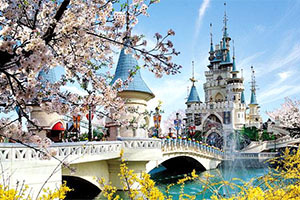 Use Utiket to find the best flights to South Korea. Need place to stay in South Korea? 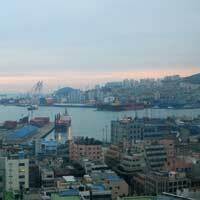 Look for more Cheap Flights to South Korea.